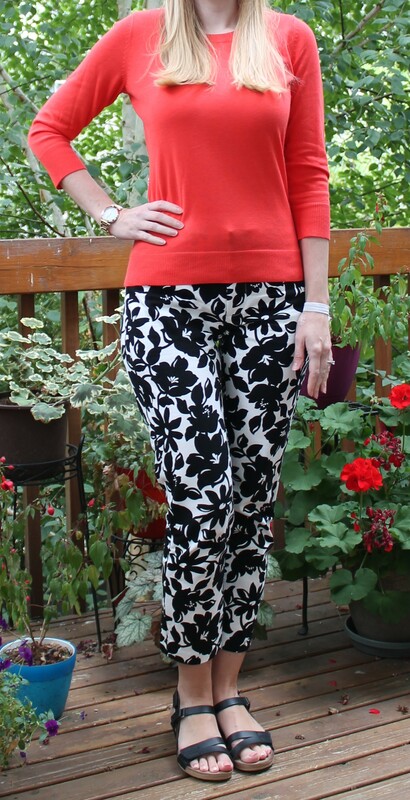 Here are a few things I’ve been wearing to beat the heat. 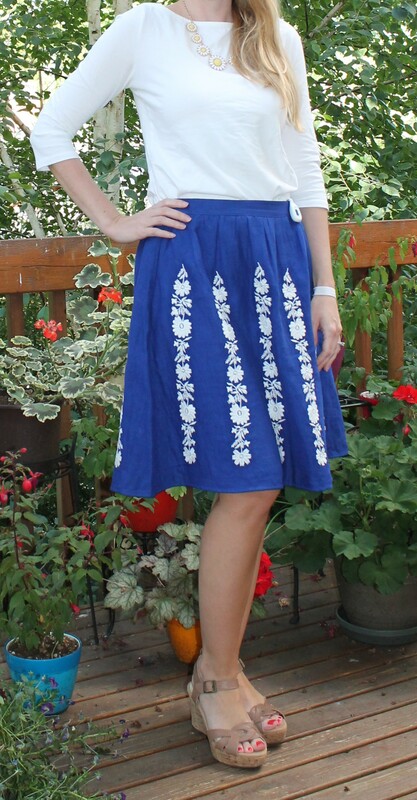 I love this skirt and I paired it with a soft knit blouse also from Boden. Great summer work outfit. I was so happy to find this dress at Old Navy. It fits really nicely and the fabric is a soft stretchy knit. Great find! The top is from Golden Tote and is still available in the July tote. It came in some really cute other prints too. The shorts are curvy fit from Loft and a very happy find. It’s hard to find shorts that work and these were just long enough for work, paired with a jacket for the AC. 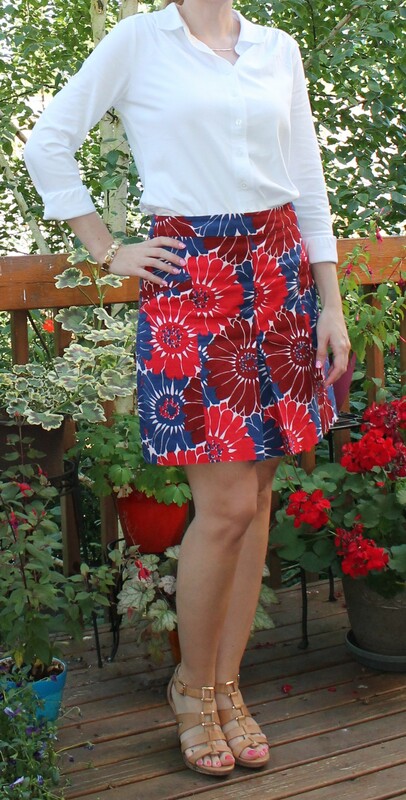 I love this Boden Summer Skirt from Boden. It also happens to be on clearance now. These shorts are really outside of my comfort zone, but they are so comfortable and soft. When it’s 90 plus degrees outside it’s a great way to look fashionable and stay cool. My Golden Tote for April arrived on May 1st. (They keep slipping dates with the launches which is starting to put them into the next month.) 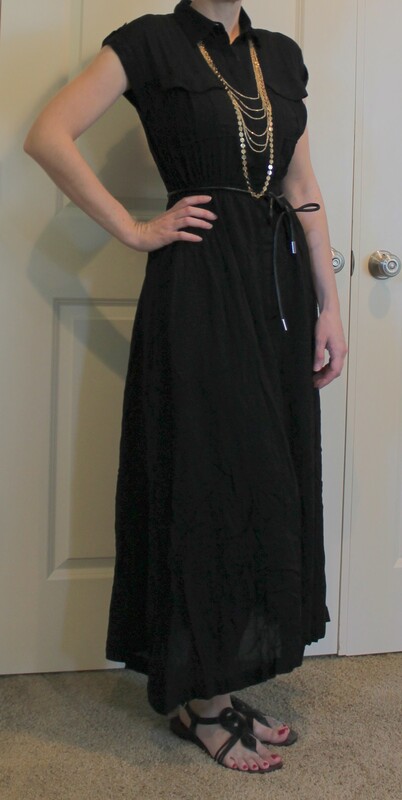 This month I was extremely excited for the black spring chic maxi dress but when I tried to get a tote on the launch day, the site (as usual) had tons of problems and kept timing out and leaving things out of the cart and several hours later when I was finally able to get it working they had sold out of all sizes of the black maxi. They restocked a week later but they only had small left by the time I got to the site so I decided I’d try to make it work. I was not very happy that they sent me the wrong item, but when I went to the site they were all sold out of the white one in my size. Because I ended up ordering the small, the gathered elastic waist was a bit tight and uncomfortable. I have since made a few alterations on the dress and let out the elastic at the front sides so it’s much more comfortable now. After I put this dress on I feel like it makes me look like I have man arms so I’m not as happy with it as I expected. I have to say, this is the softest thing I’ve ever worn. I immediately wore it the day I tried it on and am wearing it this morning as I type up my review. SO soft and cozy. I wish it was the white color, but I’m happy nevertheless. I ended up ordering this in a small since on the larger model it looked really over-sized in a medium and I the small definitely works. It’s a little bizarre to have a pug print on the blouse since I don’t have a dog, but its cute nevertheless. I like the print from a distance and the fit is okay. It’s a little loose and large but I think a smaller size would have been tight across the shoulders. The front fabric on this is a little scratchy but the back and sleeves are soft. I like the print and the shape, I’ll probably wear it to work this week. 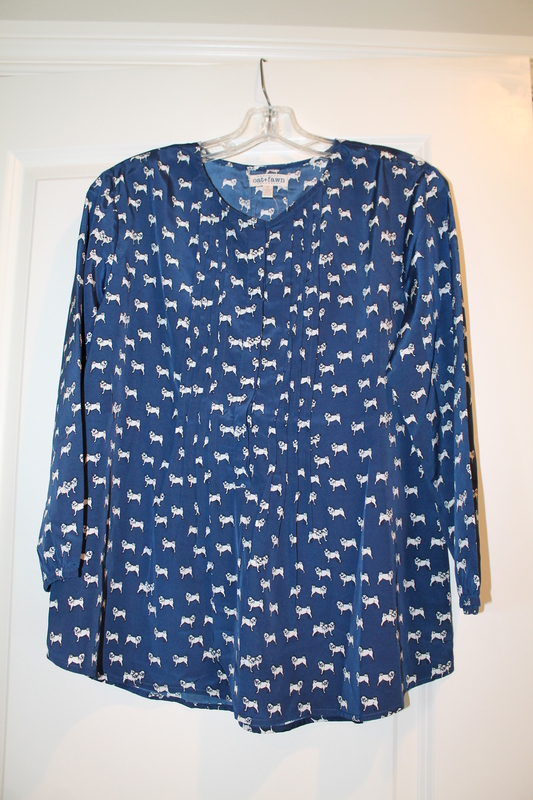 While I don’t love the tunic length on this, the color and print and super cute. 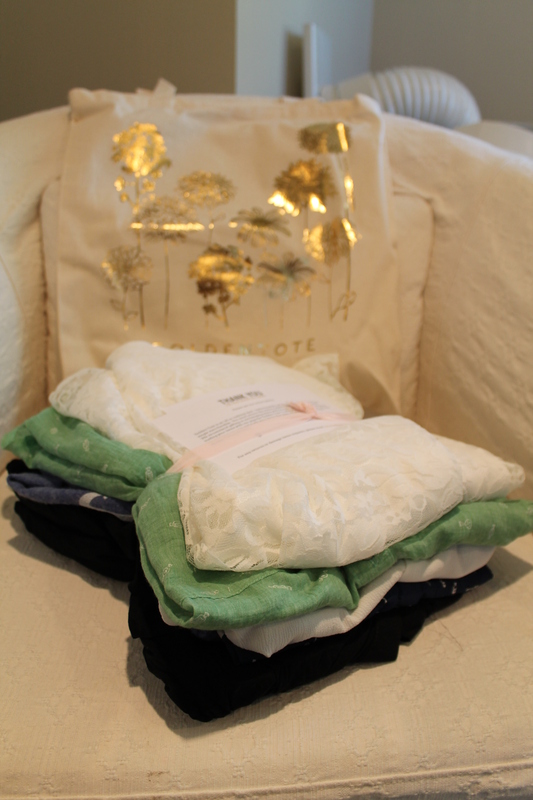 The fabric is also nice and soft. I’ll just have to wear a wide belt with it to give me some shape and definition. 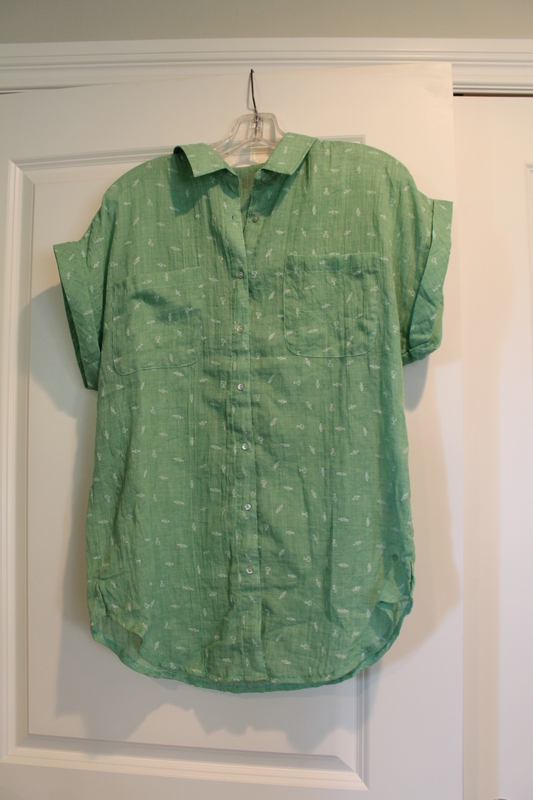 Maybe with white jeans? Overall, I think this was a decent tote. 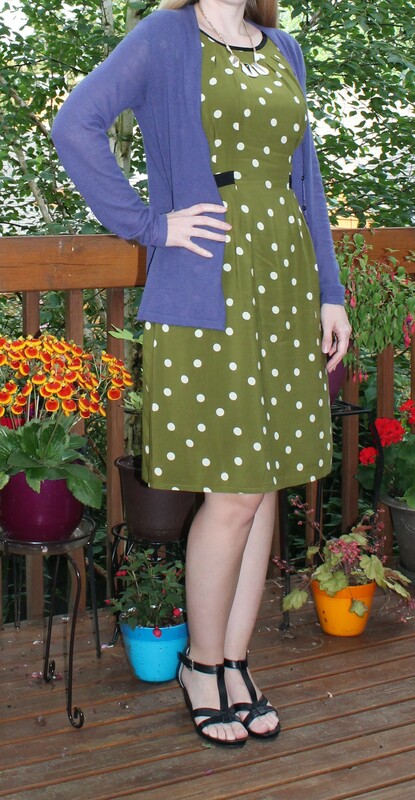 I LOVE the blue sweatshirt and the black dress will be good now that I’ve done alterations. 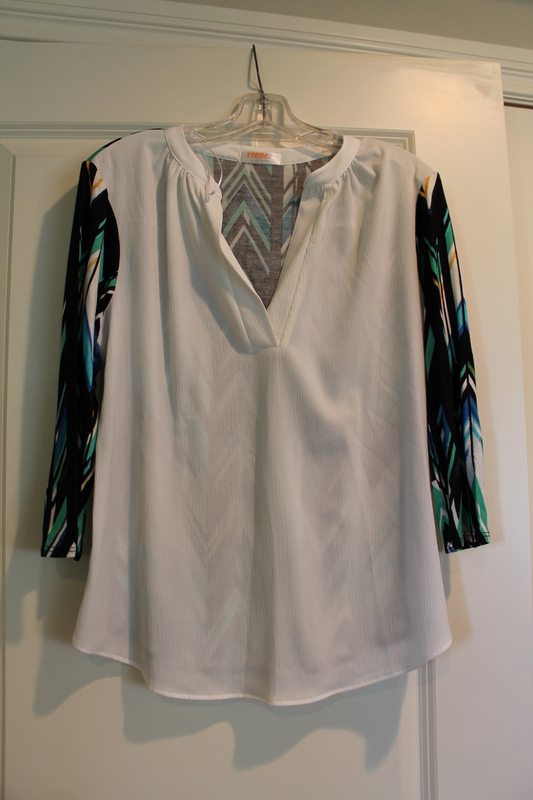 The pug blouse and white chevron print blouse will be good for work and the green blouse maybe for weekends. I am looking forward to the May Golden Tote which launches on May 11th, but I’ve only seen a few previews so far. 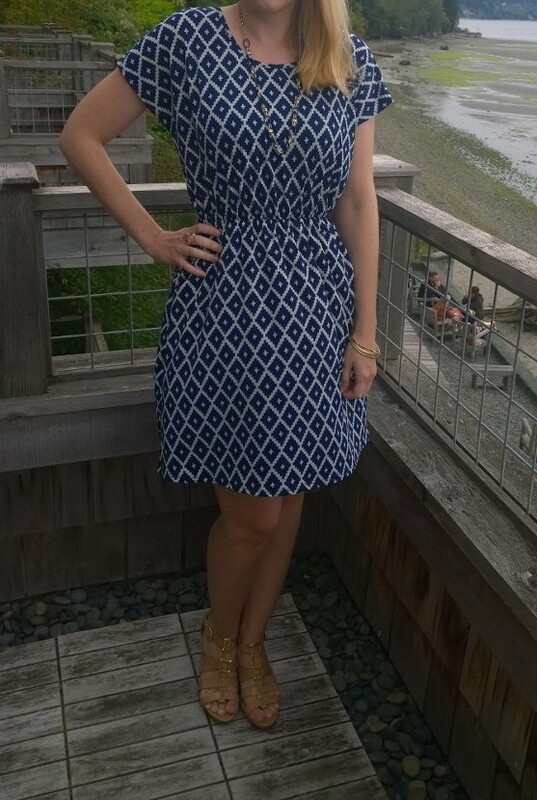 I’ve been wearing a ton of dresses to work lately and decided to do a post with links to some of them since there are a lot of summer sales going on right now. 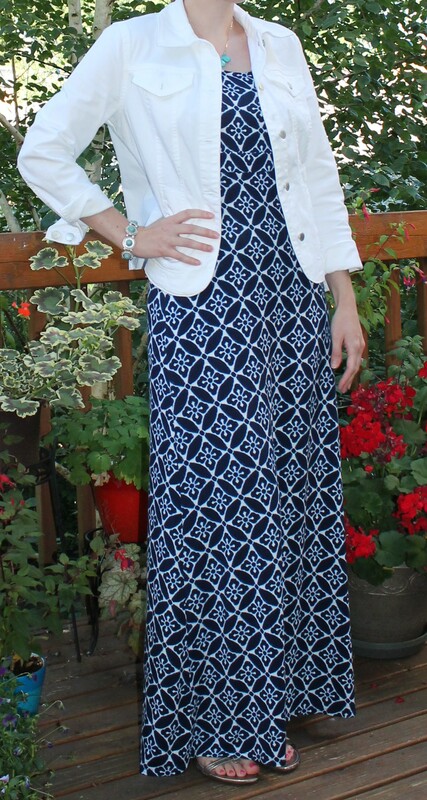 I bought this dress back in the spring and it sold out quickly, but I love the pattern and fit. The shoes are new and currently on clearance at Naturalizer. I got this dress in a long length and love how comfortable it was for work. The fabric is soft and the style is very retro. 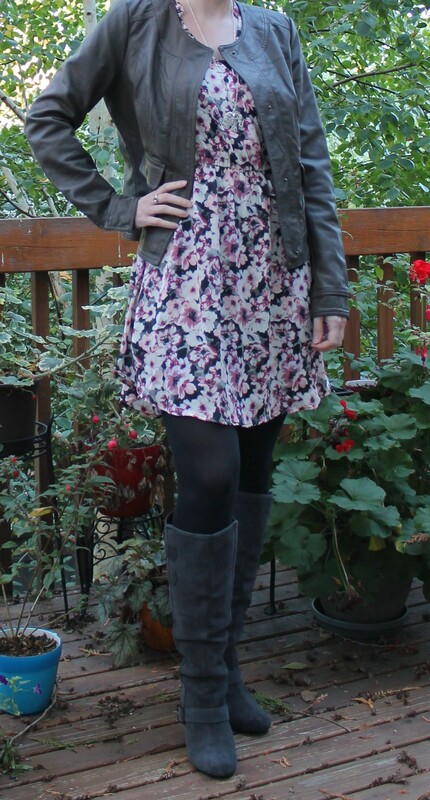 I wore this dress without any topper and with a lightweight jacket from Loft in the Air conditioning at work. I love the color and fit of this dress. Great for the air conditioning but cool enough to wear outside. 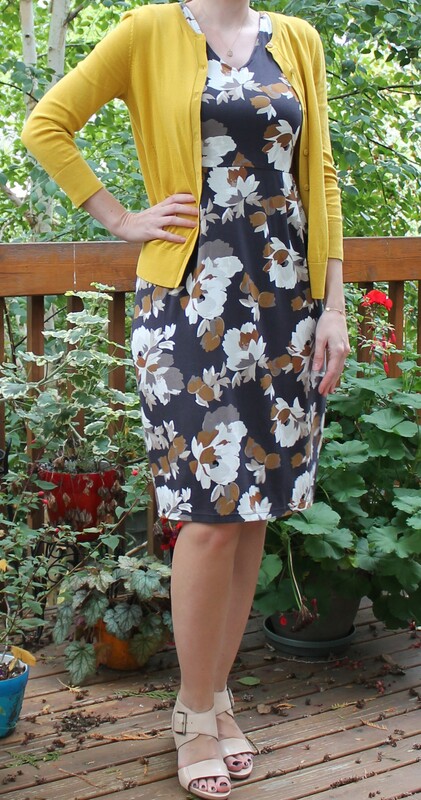 And finally, I wore the dress from my last Golden Tote when we were going out to dinner on vacation last weekend. 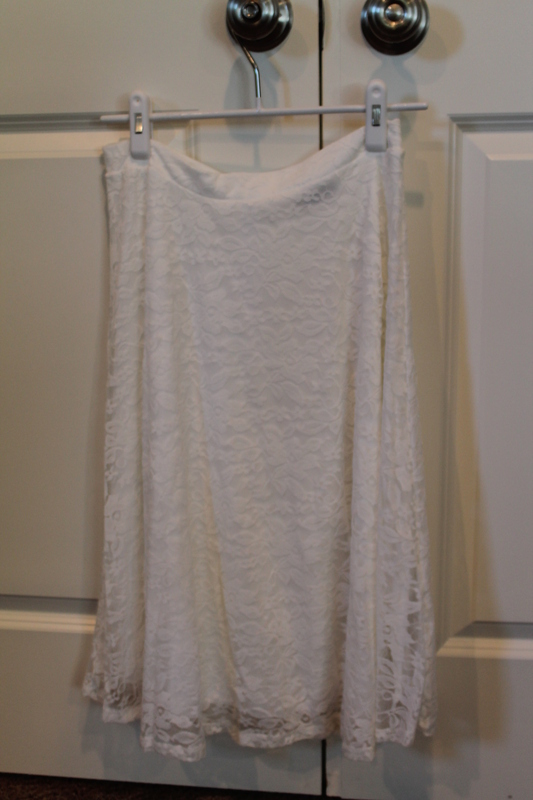 It was one of the surprise items, and I ended up liking it better than the dress I had picked. I love these T-shirts available at Old Navy right now. I got it in all three colors, mint, white and pink. They are on sale right now for only $8. I wore this dress for a big presentation to some higher ups, but when I got to work in the morning I found out the presentation was postponed. I’ll have to pull it back out when it gets rescheduled. I seriously love this dress. The fabric is so nice and it lays nicely and is the perfect length. 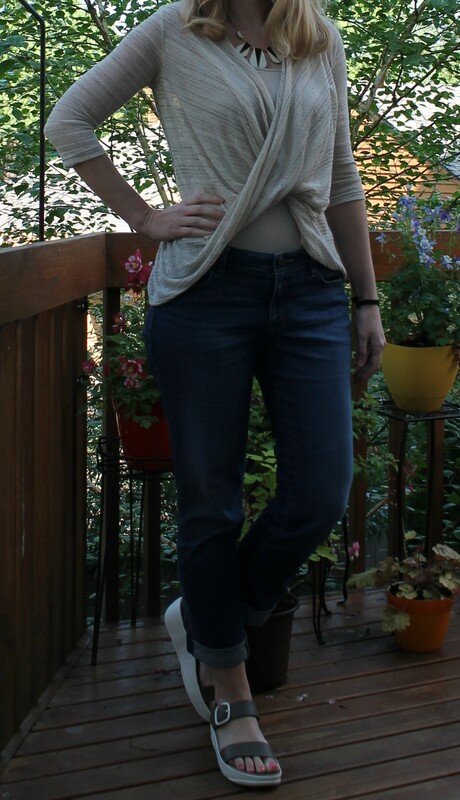 I had mixed feelings about this wrap top from Stitch Fix. 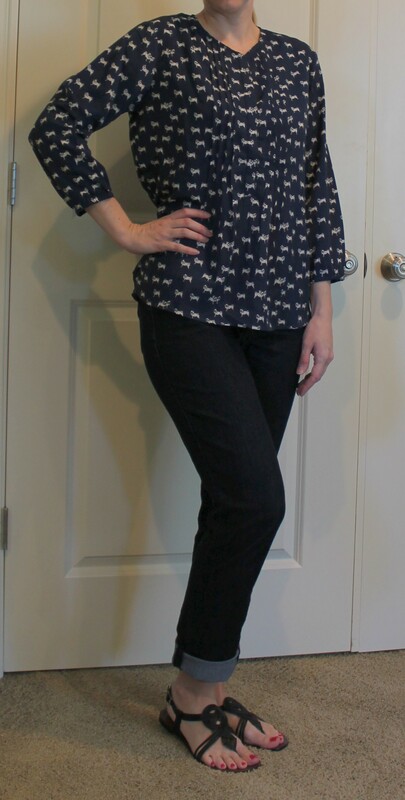 It looks cute from some angles and my husband told me it was flattering, but then I’d catch a glimpse in the mirror at other times and have to readjust because it was not sitting in a flattering way. It is soft and comfortable though. I bought this top and necklace when I was in Hawaii at the factory shops. I love the colors and the silky fabric. 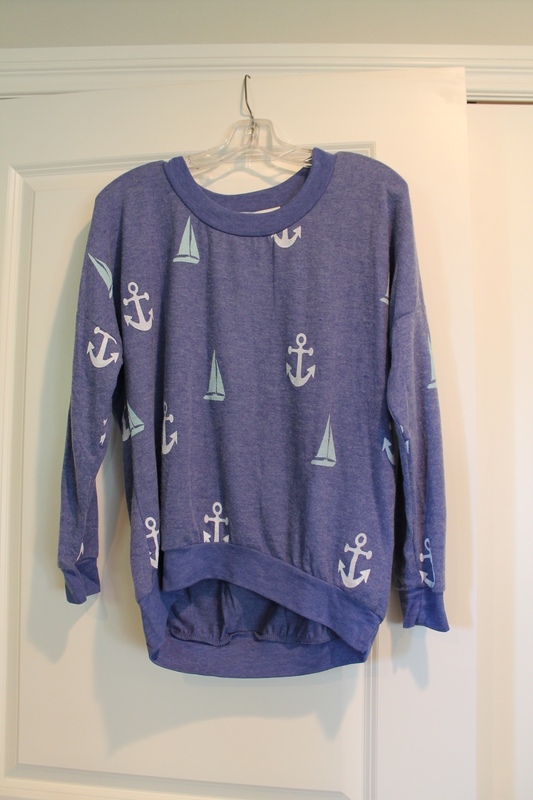 It paired well with a navy cardigan. I bought this dress last year and never wore it. I had such reservations but decided to pull it out this year and wear it at least once. 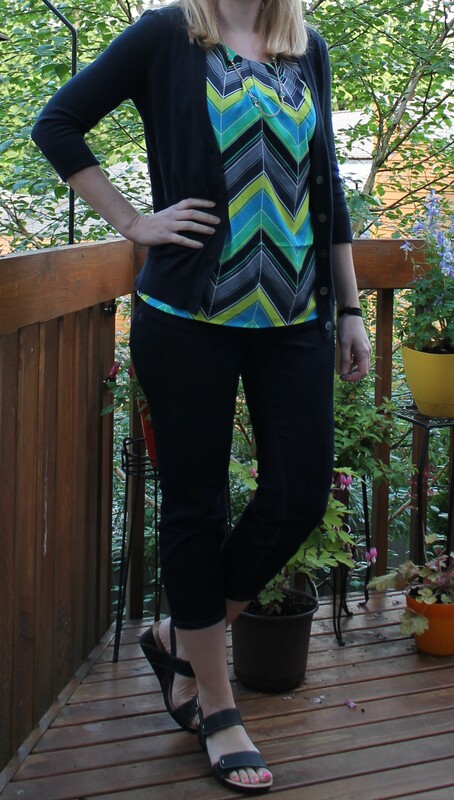 It’s cute on and the color and pattern are nice, but it’s too short for me to feel comfortable and when I sit down it hikes way up which was uncomfortable at work when we have casual meetings in my office with me facing people in my chair. I have already donated it to charity after a closet clean out. 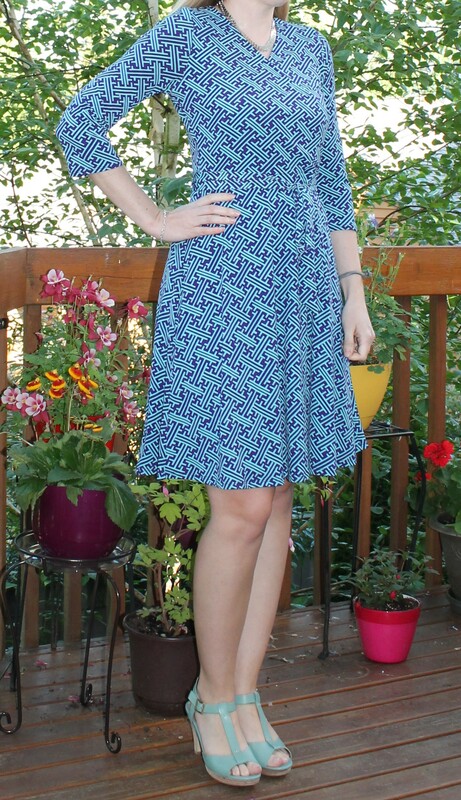 I love Boden and this dress is fabulous. 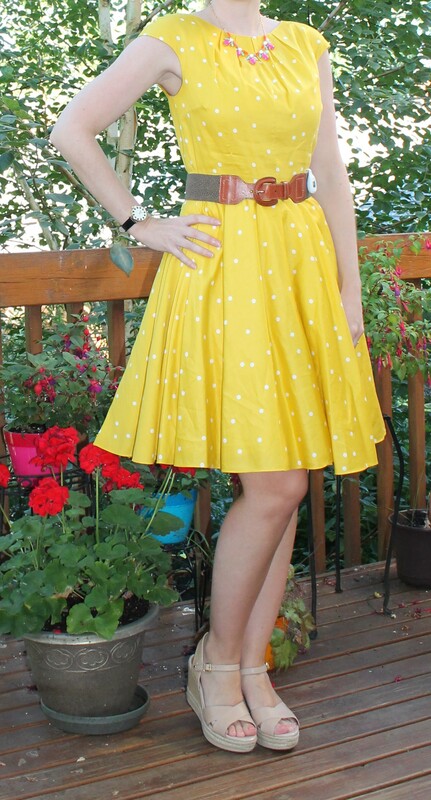 The fabric is soft and I love the polka dot pattern. 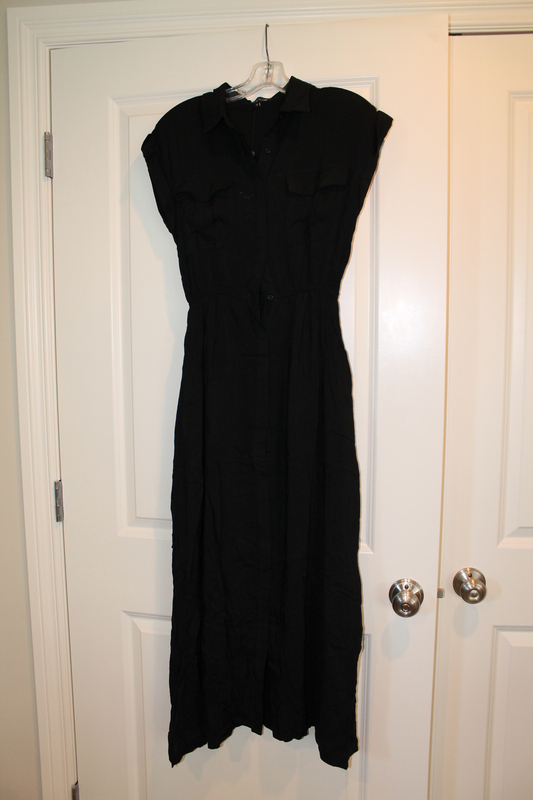 It also came in a long length which is perfect for me to wear to work. 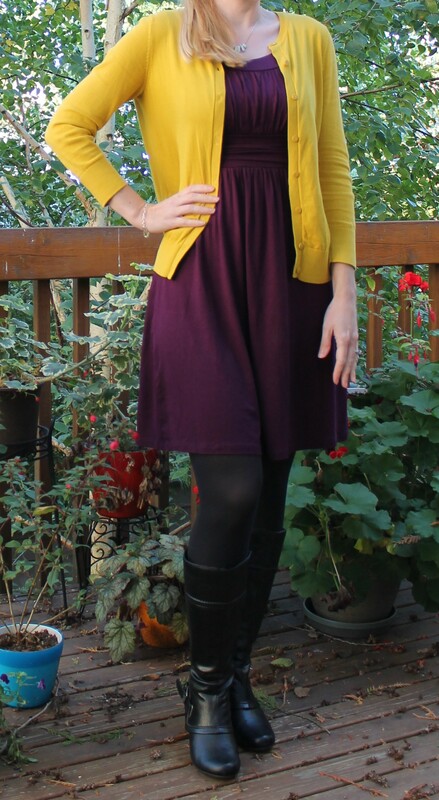 I threw on a soft purple cardigan and some black wedge sandals and was comfortable at work. It’s on clearance right now for $70.56. 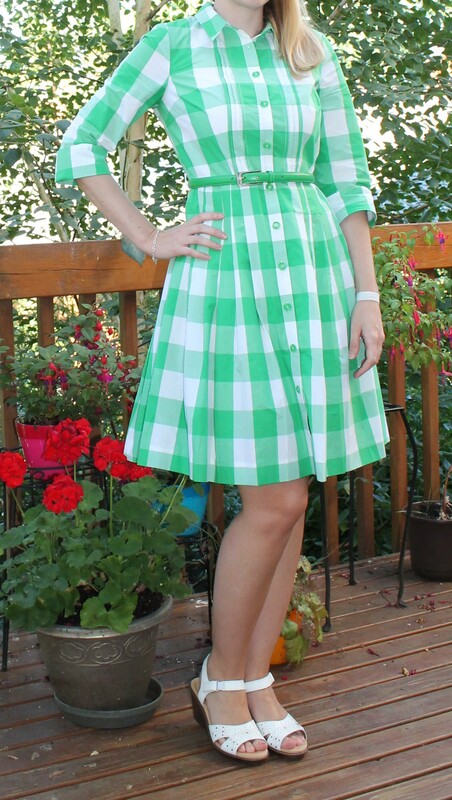 I also really love this dress which is also currently on clearance for $70.56. I felt very chic wearing this to work and love the way it flatters my figure. 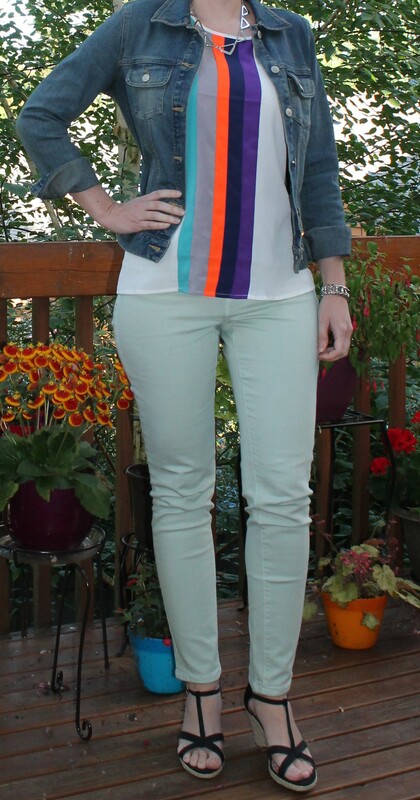 I wore this new stitch fix top with mint jeans as the cards had suggested and a jean jacket. I liked the overall look.